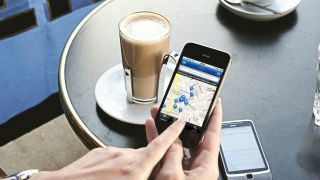 IT departments with Bring Your Own Device (BYOD) connectivity problems have been targeted with a new service from global Wi-Fi connectivity business iPass. The new service is an extension of the current iPass Open Mobile Express service and allows IT departments to give users, who want to use their own equipment, the freedom to connect through any of iPass's one million worldwide hot-spots without the burden of supporting different connection providers or paying for the connectivity costs. In an interview with TechRadar Business Centre, René Hendrikse, Vice President for Europe at iPass explained the reasons why the new service was developed. "The service was introduced to help IT departments concerned about the rising costs of mobility, particularly from employees connecting with BYOD. The costs of 3G data roaming has been going up, and up, and we found that many of our customers have been trying to work on solutions to reduce those costs, but what they were struggling with was users who wanted to use their own devices. The users wanted to access the corporate applications and email with their own devices, but were having to pay for the cost of connecting themselves, so we developed this new service based on open mobile express. " The new service allows IT departments with iPass Open Mobile Express to create profiles with individual passwords and logons for the iPass service which can then be used on any device, but unlike a normal iPass user account, the services will be billed directly to the end users credit card, which can then be claimed back from their own departmental budgets. The advantage of this is that the IT department only needs to support one service across any device including iPhone, Android, and BlackBerry, and any connections are billed at discounted corporate rates. The update to the iPass Open Mobile Express service has been tested extensively on iPass employees over the last few months and is officially available to business users from today. The service is available for iPhone, iPad, Android and Windows-based smartphones, tablets and laptops, and gives access to over one million Wi-Fi hotspots including in-flight Internet and hotels, airports, and business venues.